Cybersecurity concerns are at an all-time high, but one area that does not get enough focus is security awareness and training. Many investment advisers conduct security training annually. But awareness of security activities is important year-round. Why cybersecurity awareness and training is critical to your firm’s bottom line. How to make your employees and clients aware of security dangers and enlist them to maintain good network hygiene. Ways to generate effective communications to ensure that individuals keep protection of information top of mind. What security controls are available. How advisers of any size can conduct table top exercises. How non-IT personnel can monitor IT infrastructure. Note: IAA Members and IAA Associate Members who register on or before May 31 are automatically registered for both the live webinar and the recording. 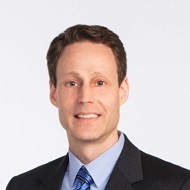 Steven R. Chabinsky is General Counsel and Chief Risk Officer for CrowdStrike, a cybersecurity technology firm that specializes in continuous threat detection and prevention, cyber intelligence, and network incident response services. He also serves as a Commissioner on President Obama’s Commission on Enhancing National Cybersecurity. Previously, Mr. Chabinsky served as Deputy of the FBI’s Cyber Division, after he organized and led the FBI’s cyber intelligence program. He also was the senior advisor to the Director of National Intelligence. He helped formulate (and monitor on behalf of two Presidents) the U.S. Comprehensive National Cybersecurity Initiative, which to this day remains at the core of U.S. national cyber strategy. Following September 11th, Mr. Chabinsky was called upon to serve in the White House, where he helped set up the Department of Homeland Security after having previously drafted part of the Homeland Security Act of 2002. 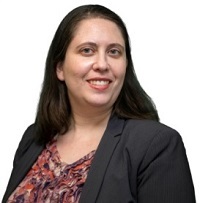 Colleen Theresa Brown, a partner at Sidley Austin LLP, has significant counseling and litigation experience related to privacy and data protection matters, including those focused on information security, incident and data breach response. 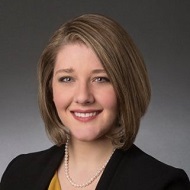 Her compliance counseling experience includes risk management, corporate data protection and privacy programs, privacy by design, privacy policies, international data collection and cross-border transfer, electronic surveillance, trade secrets, social media, cloud computing, online brand protection, diligence for transactions involving information assets and e-commerce. At Sidley, Ms. Brown co-founded Women in Privacy®, a networking group dedicated to thought leadership for women privacy professionals. She is also the chief editor of Data Matters: The Sidley Austin Cybersecurity, Privacy, Data Protection, Internet Law and Policy blog. Laura L. Grossman (moderator) is Assistant General Counsel of the Investment Adviser Association. Prior to joining the IAA, Ms. Grossman was in private practice for over 10 years in the New York office of Fulbright & Jaworski L.L.P. (now Norton Rose Fulbright), where she advised registered investment adviser, mutual fund and private fund clients on matters arising under the Investment Advisers Act, the Investment Company Act and other federal securities laws, the Commodity Exchange Act and associated regulations, and a wide range of compliance issues. For paid registrations, cancellations and substitutions must be received in writing no later than 5:00 p.m. (ET) Tuesday, May 31, 2016. There are no refunds for cancellations received after this date. Email your requests to lisa.gillette@investmentadviser.org.